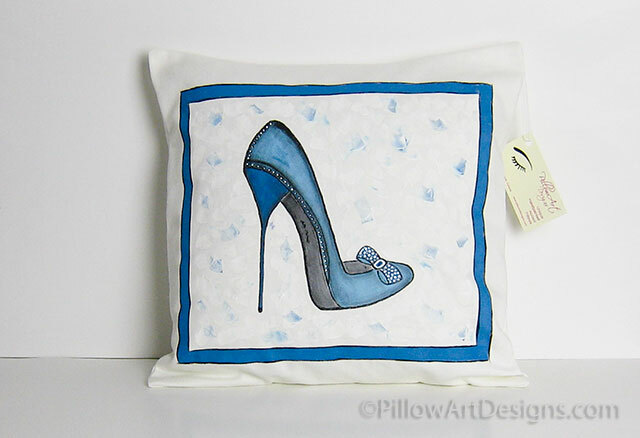 A perfect diva pillow for the shoe lover! 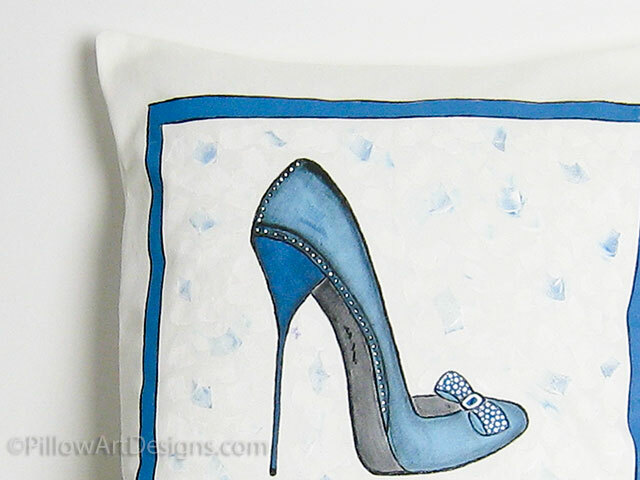 I've painted a sky high stiletto in rich blues on the face of this fashion styled accent cushion. A cute bow on the shoe toe is dotted in white to match the dotted trim down the side and on the back of the shoe. 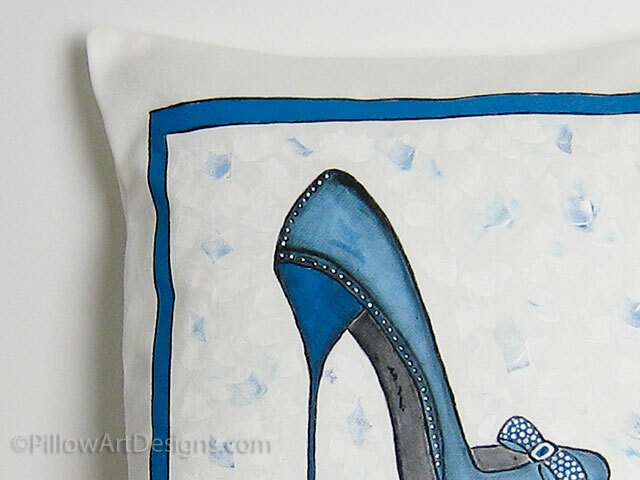 Background is mottled white with touches of blue, and framed in blue with black edging. If you can't wear them, decorate with them! 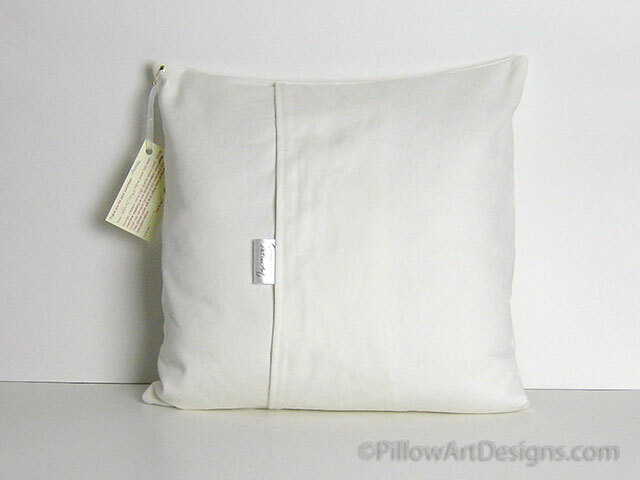 Available also with insert included, price is an additional $10 plus shipping to your location. Please contact me here if you wish to purchase the insert with your cover.